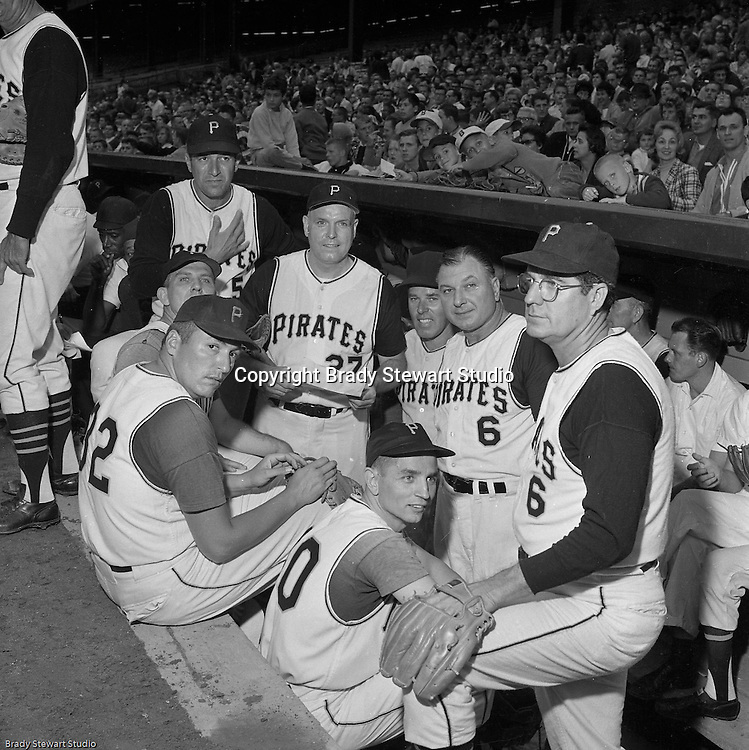 Pittsburgh PA: View of Pittsburgh Pirate old timers getting ready before the annual HYPO (Help Young Players Organize) game at Forbes Field. Prior to the game, the Old Timers played the local TV and Radio personalities in a few inning game. Had trouble with a most of them in this photo but I believe Jim Russell is #32 on the left.